Marketing strategies are an essential part of any company’s business strategy. A Marketing strategy not only includes tried-and-true offline practices, but also online tools, that are becoming more popular. It is very difficult to stay up-to-date with changing trends in online marketing, because they change so rapidly. The best way to stay informed is to network with market leaders and top specialists. That’s why conferences and meetups have become so popular in among digital marketing professionals. NooMa Conference, supported by Max Polyakov (Maxim Polyakov), is one such event. The first NooMa Conference took place in Kyiv, Ukraine, on May 12, 2017. The Conference speakers shared their deep knowledge and experience in the fields of mobile, video and affiliate marketing as well as traffic tracking tools and chat bot strategies. Association Noosphere and GDM Group, with the support of Max Polyakov, established this event as the perfect place to meet real big fish of marketing. Maxim Polyakov believes that the synergy between the participants and the networking opportunities moves the industry forward as a whole. The NooMa Sea stream included the opportunity for young professionals to post a CV on the Vacancy Wall, meet representatives of international companies and check out vacancies. Thanks to Max Polyakov, everyone could discover how to start a career in the leading marketing companies. 12 speakers shared their experience within this stream. Speeches at the NooMa Sea stream were dedicated to starting the carrier at the big international companies. Anyone could ask questions and win door prizes from the organizers. The NooMa Ocean was for the big fish and included top executives and consultants from several leading online marketing companies. These sharks took their audiences to the deep end, providing the latest in marketing techniques, trends, and tips for businesses who wanted to land a few more whales. Maxim Polyakov and the conference organizing team invited 11 experts to deliver speeches down this stream. 20 companies became partners of the NooMa Conference. And 750 cups of tasty tea and coffee made the networking and the dive into the depth of marketing a splash. The conference content added to the success of the event. The design of the NooMa Conference website received an Honorable mention from Awwwards, a world-famous international design contest. What made it so special? Let’s find out more about the Conference name, design and background. The idea to organize a Digital Marketing Conference in Ukraine appeared at Association Noosphere, co-founded by Max Polyakov, a few years ago. There are a lot of marketing events dedicated to global marketing strategies and professional tips around the world. This is why the Ukrainian conferences put their focus on the local market. At the same time, more and more Ukrainian companies are working at global market. That’s why Ukrainian marketers felt the necessity to include international marketing techniques and practices. Foreign companies want to discover the Ukrainian market as well. 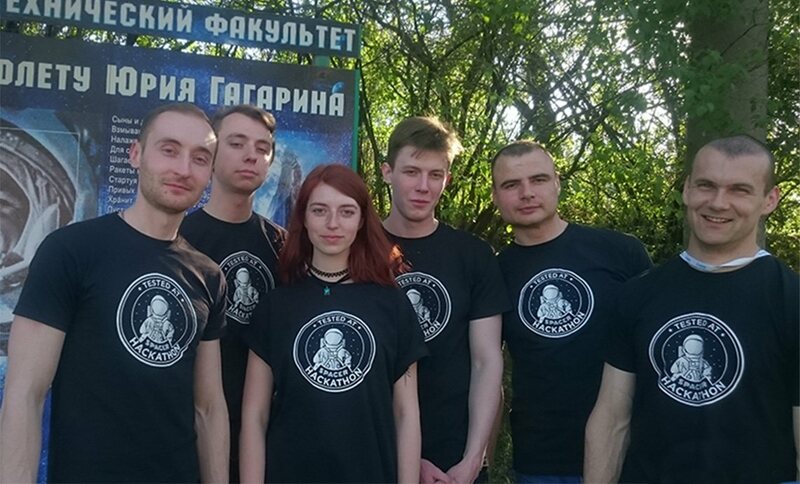 The idea to focus on these markets was proposed by Max Polyakov’s Noosphere organizing team in 2016. One of first steps in positioning the event is creating the name and concept. A marketing conference must have eye-catching visuals and a name that speaks for itself. The message of the event should also differentiate itself from the other events in this field. The solution for how to position the conference came out of the blue. As a book lover and scientist in the field of Economics, Maxim Polyakov admired the book “Blue Ocean Strategy” by W. Chan Kim and Renee Mauborgne. This book inspired him in his personal business strategy as well as his scientific research. He felt strongly that it should be reflected at the Noosphere Marketing Conference. What is this book about? Making a business is a competition. Sometimes it looks like a war. But there is always another point of view, which became the background to the blue ocean theory. What if competition is not necessary and you can set up your own segment in the market? This strategy prefers going after untapped markets, rather than turning the water red with blood from fighting with competitors in Red-Ocean markets. That is why the conference focused on identifying uncontested marketplaces to move into. Speakers of the conference, initiated by Max Polyakov, shared many ways to identify these niches and how to navigate these uncharted waters. By being the first entrant in an uncontested niche, businesses are able to establish the rules of interaction with their customers, setting the standard and giving them a distinct strategic advantage in the future. The blue ocean strategy is not about fighting with competitors. It is about creating a brand new products and services and becoming the first in the niche. NooMa Conference, powered by Max Polyakov, became the personification of this theory. The Conference was established not only as a meeting point for the big fish, but also as a social project of Maxim Polyakov. That’s why there was not just the Ocean level for top marketers, but also the Sea level for beginners. The organizing team of Max Polyakov’s Association Noosphere choose this format to make the event useful for participants with different skill levels and help talented young professionals find the job of their dreams. The activities of Association Noosphere in regard to sharing marketing insights reflects the extensive experience of Max Polyakov (Maxim Polyakov) in the field which was always one of his focal business interests. In mid 2010’s Max Polyakov was one of the first to develop solutions in online marketing for the mass market. In 2005 Max Polyakov founded HitDynamics, a company that specializes in tracking website traffic sources, increasing conversion rates ad boosting sales. In 2006, Maxim Polyakov launched another successful project for customer behavior analysis across multiple channels and devices, Maxymiser, which later was acquired by Oracle and is now used by sharks like IBM, Epson, Lacoste, and Lufthansa. On May 12, 2017, the NGO “Association Noosphere” and GDM Group with the support of Max Polyakov will host a Conference for marketers – Noosphere Marketing Conference. The Conference organizers were inspired by Chan Kim’s “Blue Ocean” theory and suggested that everyone dive into the depths of marketing. The panel of experts shared the latest trends in a variety of marketing waters, like Mobile Marketing, Traffic Tracking, Conversational Commerce, Video Marketing, and Affiliate Marketing. NooMa Conference organizers are happy to announce the speakers of their upcoming conference. NooMa_Sea experts will include representatives from GDM Group, SendPulse, ASKfm, Oscar Design Agency, ClickFrog, Traffic DNA, PDFfiller, RingoStat, and UniSender. Volodymyr Budanov, Maxpay. Speech topic: “Marketing and Billing synergy”. 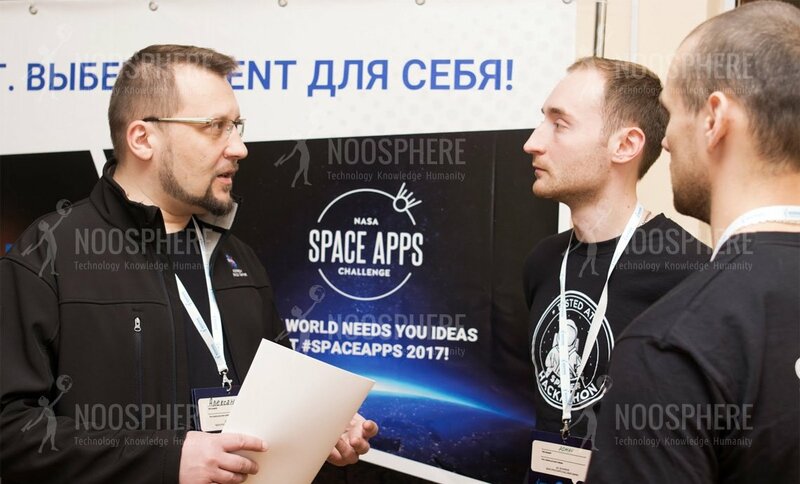 On May 12, 2017 Max Polyakov’s Association Noosphere, in cooperation with GDM Group, hosted its first event for digital marketers – NooMa Conference. The conference gathered more than 200 participants. 23 speakers from leading digital marketing companies shared their experience on two conference streams. Young professionals and students explored the uncharted waters of marketing at the NooMa Sea stream. They were also able to place their CV on the Vacancy Wall and find their dream job with leading companies. The real sharks of marketing got their fill in the NooMa Ocean stream. The conference website received an Honorable mention from Awwwards for its design. The use of video content increased 10 fold between 2011 and 2016. And even more: the forecasts say that video traffic will be 82% of all Internet traffic by 2020. Online video outstrips cable television among young users. Video advertising, live video streaming, 360 degree video is becoming more and more popular among users. This trend could not stay unaddressed by Max Polyakov’s NooMa Conference. The event speakers mentioned that nowadays the share of programmatic video buying grows and it will be the direction that shapes the industry in the future. The first person who used term Conversational Commerce was the hashtag inventor Chris Messina in 2015. The integration of Uber into Facebook Messenger gave him an idea that the new trend inspired. Chris believed that 2016 would be the year of Conversational Commerce. This sphere has grown rapidly. In the three years since, many companies have created chat bots. These bots have developed and become more and more human-like in their dialogue. Implementing chat bots into business and marketing processes was a hot topic. That’s why the NooMa Conference organizing team, with support of Maxim Polyakov, included this topic into the conference agenda. According to research, there will be 11.6 billion mobile-connected devices by 2021. It means that marketers must create unique strategies for different devices. Mobile traffic already dominates over desktop traffic. That’s why marketers must learn more about every new device. Mobile advertising includes different formats: banners, interstitials, native and video ads, playable and the next step – virtual reality advertising apps. Speakers of Noosphere Marketing Conference, powered by Maxim Polyakov, predicted that new formats that do not duplicate desktop ones, must be created and implemented.